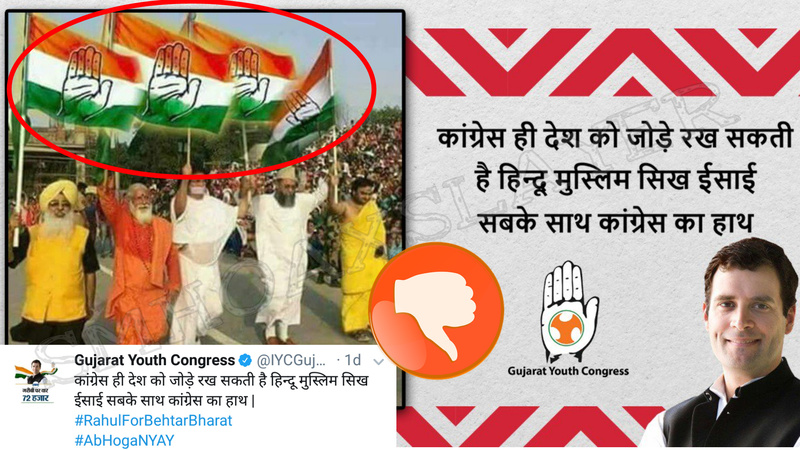 Official Gujarat Youth Congress posted a photoshopped image replacing Indian flag with their own Party flag, being carried by leaders of different religions. It was the Indian flag which all, gurus, monks of different religions were holding together showing unity of the country. Acharya Lokesh Muni, the monk in the middle in white in the photo tweeted the real image on 26th January 2018, Republic Day at Wagah Border. The same was also debunked by Acharya Lokesh Muni. ← No, it isn’t a Congressmen beating a Sub Inspector, but is a BJP Councillor. A great story of three sisters, their mother and a small disinformation. Did Rajya Sabha pass a Motor Vehicle Act on 11th March with much higher fines ?